What Is Snore No More Pillow ? Statistics show that over 30 percent of the adult population snores, with this percentage getting close to 60 when it comes to people over the age of 60. Keeping in mind that snoring affects not only snorers but those in their vicinity as well, it is not particularly surprising that there is such a high demand for anti-snoring devices. 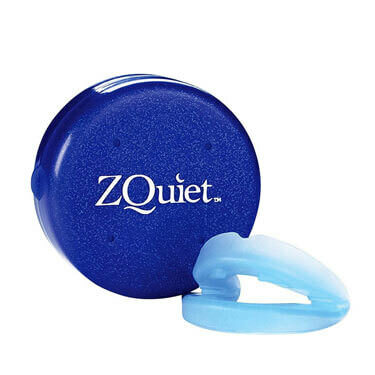 Today, we are writing about one of the most popular snoring aids on the market in our Science Of Sleep review. Many people swear by this anti-snoring pillow but we are still not convinced it should be considered one of the top snoring aids. But, we are getting ahead of ourselves. Science Of Sleep Pillow is a comfortable, easy-to-use anti-snoring pillow that was created to address one of the main causes of snoring. In most cases, snoring is the result of a blocked airway that causes people to produce vibrations which we identify as snoring. Namely, certain positions that people assume while sleeping (mainly sleeping on the back with the chin down) block the airflow and make it difficult for people to breathe normally. Science Of Sleep Pillow reduces snoring in a completely natural way. It was designed in such a way as to promote a regular breathing pattern by keeping the chin in the right place. In other words, by keeping the chin up instead of directed toward the chest, this pillow prevents airway blockage and eliminates snoring. This anti-snoring aid is, unfortunately, only effective for those whose snoring problems are triggered by lying on their backs. 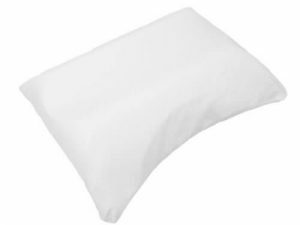 As for the materials used for manufacturing this pillow, it is made from firm polyurethane foam, which provides firm support for the head and the neck as well. It is antimicrobial and hypoallergenic. 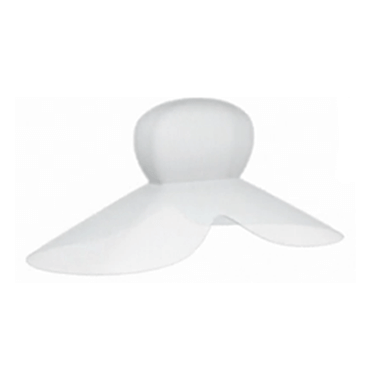 The cover is washable and easily removed by simply unzipping it, which makes maintenance convenient. 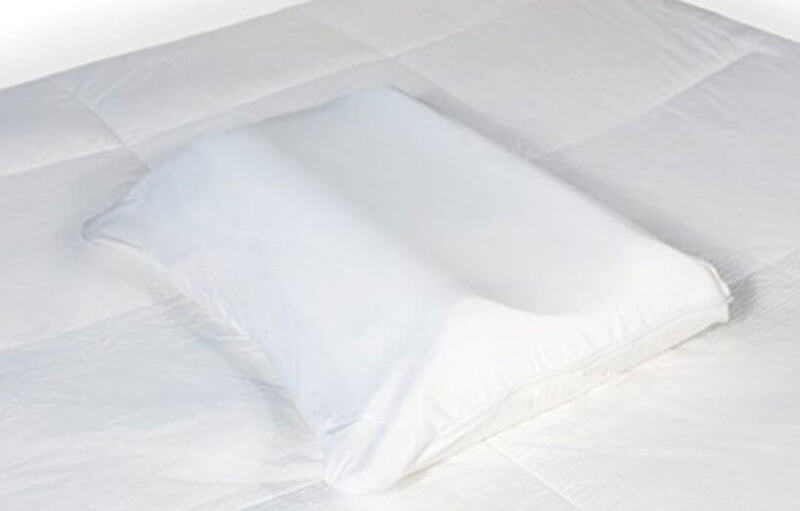 What is also convenient is that the pillow fits into standard, normal-size pillow cases. It is also worth noting that it has been reported that with time, approximately between 4 and 6 months, the pillow tends to flatten. This means that it could potentially become less effective and should be replaced with a new one. Science Of Sleep is one of the firmest pillows on the market. While some people see this as an incredible advantage (given that they like something strong to support their head), others may experience slight discomfort until they get used to it. According to our experts, the pillow does feel firm, which confirms that it is one of the firmest anti-snoring pillows currently available. Moreover, they also agree that they did not find it uncomfortable although they understand why some people would require time getting used to it. Our experts also confirm that the pillow can be easily maintained thanks to the washable cover and the fact that standard size pillow cases all seem to fit. With the price of around $40, Science Of Sleep is definitely among the most affordable snoring aids you can find. If you are still unsure if Snore No More Pillow is right for you, check out the key advantages and flaws of this snoring aid. Whether or not this Science Of Sleep review revealed is the right anti-snoring product for you depends on the cause of your snoring and what you really need. 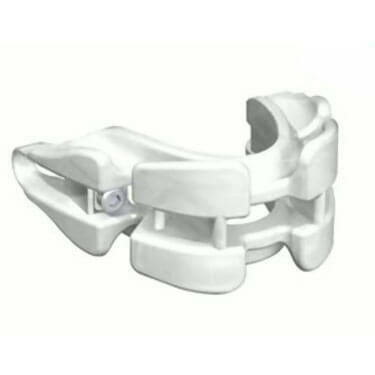 For people who snore while lying on their backs and who are, at the same time, looking for strong, firm support for their head and neck, there is no doubt that this product will meet their expectations. Our final verdict? It is not spectacular but it is not bad either. Our ratings are the result of an objective and independent evaluation of Snore No More Pillow, generating the final rating that reflects the overall quality of the company. Ratings may change as the product introduces changes. Snore No More Pillow user rating based on 5 user reviews. It’s a bit hard so if you like soft, fluffy pillows, you probably won’t like it. It’s not the worst pillow but it doesn’t do much for snoring. We found 0 verified Snore No More Pillow discounts for April, 2019. There are no Snore No More Pillow coupons or discounts right now. In order to be sure that Snore No More Pillow truly is the best solution for your snoring troubles, you need to know what makes it superior or inferior to its alternatives. Discover how Snore No More Pillow compares to other popular snoring aids of its kind with our detailed feature and price comparisons and easily determine whether you are making the right choice.